Tag Archive for "adwords ads"
AdWords new expanded ads are now live! It happened sooner than expected while no account manager was really aware of it: you have now the ability to create new expanded ads in AdWords. How to create new expanded ads? Two 30 characters headline (compared to one 25 characters headline before) so 60 characters in total, that’s more than the double amount of characters allowed before! One 80 characters description line (compared to two 35 characters description lines before), that’s 10 more characters allowed than old ads. 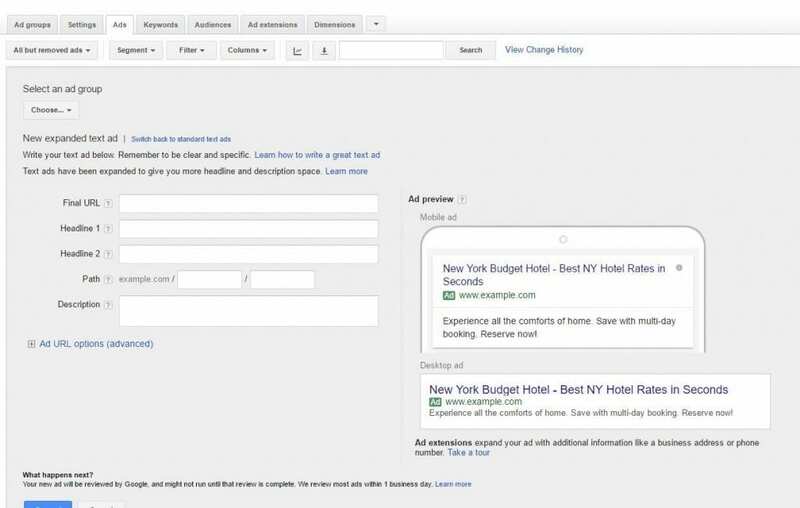 You can now create new expanded ads directly through your AdWords interface. If you go on the “Ads” tab on your AdWords account and choose to create a new ad by clicking on the red button “+ AD” and you then select “Text ad” in the drop-down menu, this will automatically give you the opportunity to create a new expanded ad as you can see in the screenshot hereunder. If you want to create an ad with the old format instead, you will need to click on the option “Switch back to standard text ads”. Google has also released a new version of AdWords Editor for the occasion, and if you download the latest update of Editor you will be able to create new expanded ads straight away (I have to say that Google really made a huge effort here to make it easy for account managers as you usually need to wait a few weeks or even months for any new change to be supported in AdWords Editor). Once the latest version is installed, you will see “Expanded text ads” listed under the “Ads” menu as you can see in the screenshot hereunder. What is the deadline to create new expanded ads and what is going to happen during the transition period? We are now in a transition period where you can still create and edit old AdWords text ads until 26th October. After that date, you won’t be able to create or edit those old ads anymore, so it will be mandatory to use expanded ads if you want to change messaging or create new ads. However, it doesn’t mean that your old ads will stop showing after 26th October, they might still run for a while along new expanded ads (no extra information has been given yet about what will happen to old ads after 26th October, except that you won’t be able to update them anymore). 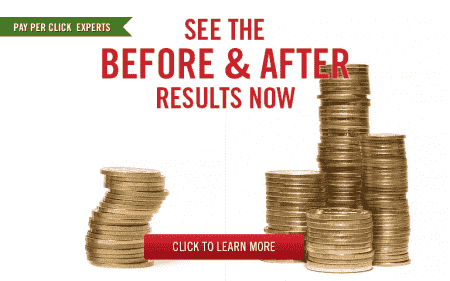 What is sure is that if you do create new expanded ads now, you can still keep your old ads running along with them, and I would advise you to do that so you can test new expanded ads and see what could be improved. When should you create your new expanded ads? If you are an account manager dealing with several accounts, you might need to rewrite hundreds or thousands of ads. This is not going to be done in one day. If you start now, you will have the time to come with a plan and a schedule, which will make things smoother and less stressful that if you leave everything until the very last day. As stated above, if you create new expanded ads now, you can also keep your old ads running during that transition period and take advantage of that period to test your new ads, as it might need time and lot of adjustments before your new expanded ads work as good as your old ad texts. A lot of advertisers will leave creating new expanded ads until September or so, as we are now in a transition period where both old ads and new expanded ads are allowed to run along each other. Which format do you think will get the more attention between the new expanded ads with their 140 characters and the old ads with their 90 characters? That’s right, now is the right time to get your expanded ads ready and gain advantage over your competitors who are not using them yet! What are the best practices to write new expanded ads? You should take advantage of the new full characters limit. Don’t just use your former description line 1 and use it as headline 2. You should rethink your entire ads and write new versions, creating deeper messages. Try and focus on needs and benefits, including concepts important to your customers that will make you stand out among your competitors. You should focus on the headlines as they will appear in blue and be the most viewable part of your ads. Write your most important messages in your headlines. You should particularly focus on headline 1 as there might be a line break between your two headlines, especially on mobile devices, or your headline 2 might appear on same line as headline 1 but be truncated (during the tests a lot of users already complained about that and Google advised to limit both headlines to 33 characters maximum to be sure headlines are not truncated, which is a bit extreme!). Use the path fields and add your top keywords to display URL to make it clear for users that they will end on a relevant landing page. Mobile preferred ads are no longer supported with new expanded text ads, so you should use messaging that speak to users on all devices. You can also choose to add a mobile specific URL, so if you have landing pages that are best optimized for mobiles, don’t forget to use that feature. 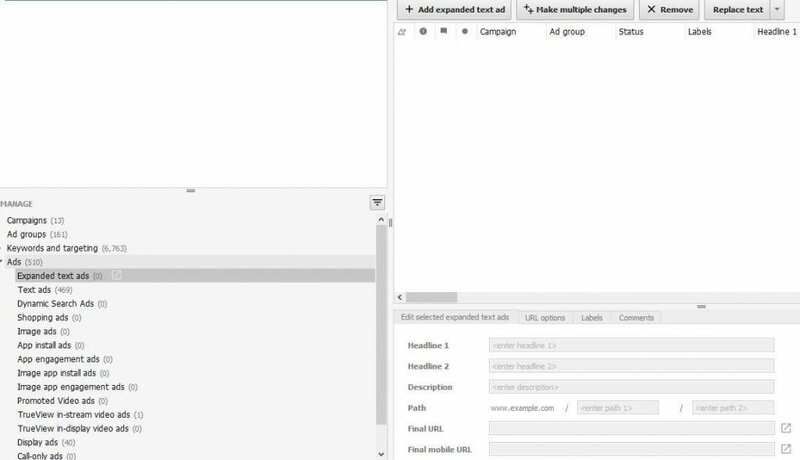 You should create multiple versions of expanded ads and test them. Remember how it took you years to figure out what messaging was working best in your old ads? You are back to square one now, and you should start A/B testing different versions of your new expanded ads. You should keep your old ads running along with new expanded ones, and not pause your old ads directly. As stated above the current transition period is ideal for testing. Keep your old ads running so if your new expanded ads don’t perform as well at the beginning you have time to adjust and test between different versions of expanded ads to see what works best. You should check your ad extensions and update them if necessary. Now that you are allowed more characters in the new expanded ads, you might add messages that you were before using in your ads extensions because you were limited by characters in old ads. You therefore have to make sure that the message you now use in your new ads don’t repeat in your old ad extensions. Following the release of new expanded ads on the search network, Google has also announced that a new ad format will be ready for display soon: responsive ads. Two headlines: the first headline will contain up to 25 characters and the second one 90 characters (compared to only one 25 characters headline before). That’s 90 characters more. One 90 characters description line (compared to two 35 characters description lines before). That’s 20 more characters allowed. Those new responsive ads are rolling out at the moment, if they are not available in your account yet just be patient a few more weeks.